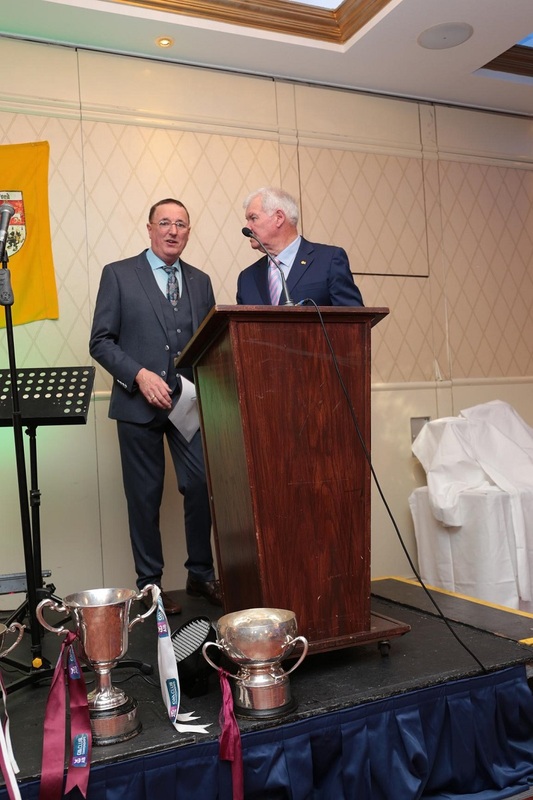 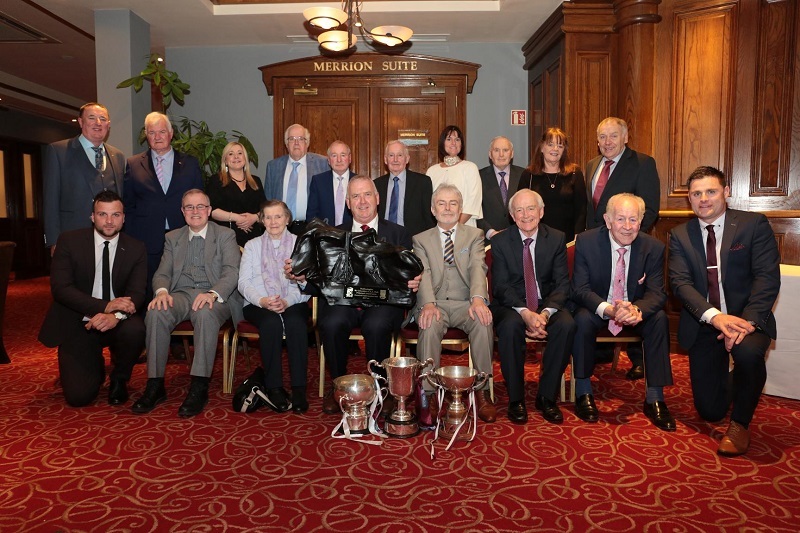 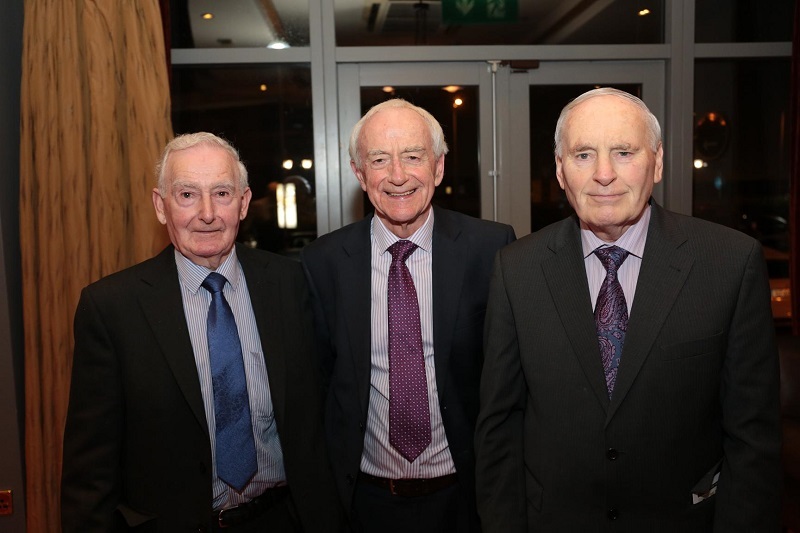 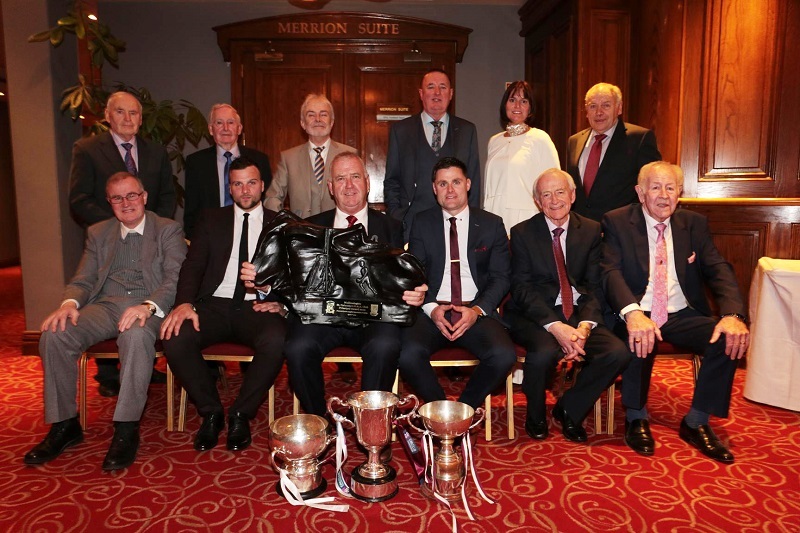 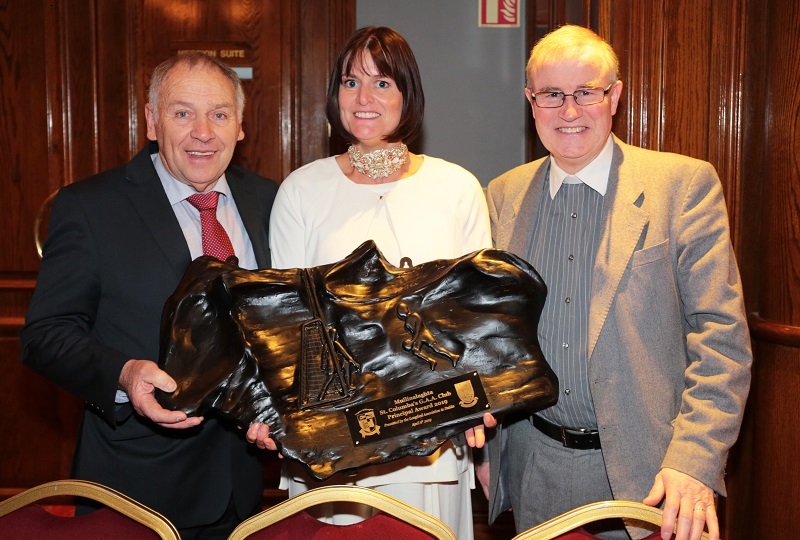 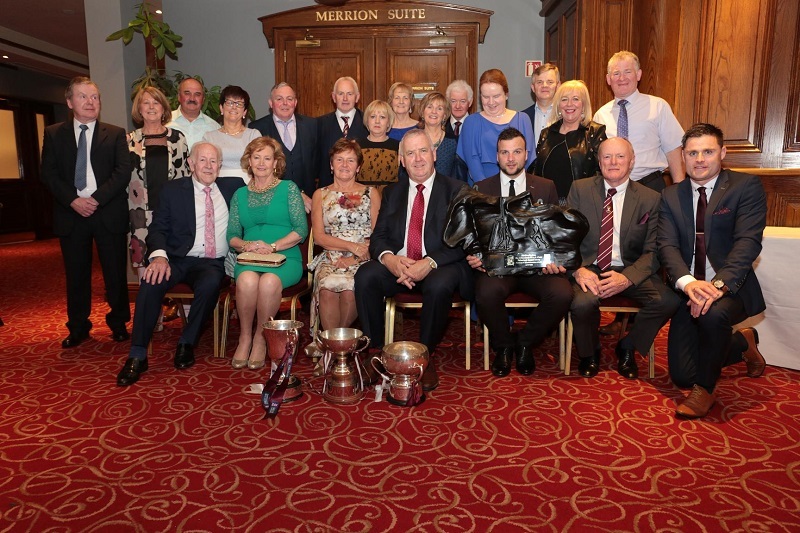 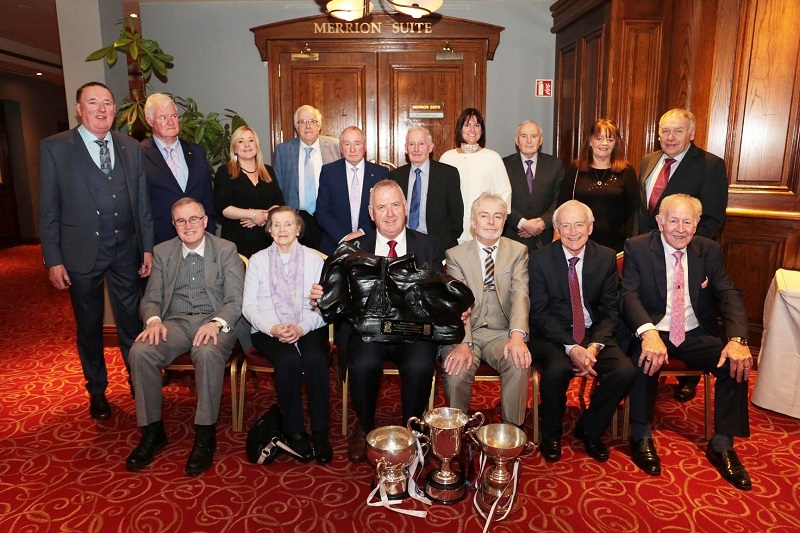 See Photos below from the 65th and Final Annual Gala Dinner Dance on 6th April 2019 at Red Cow Moran Hotel Naas Road Dublin 12. 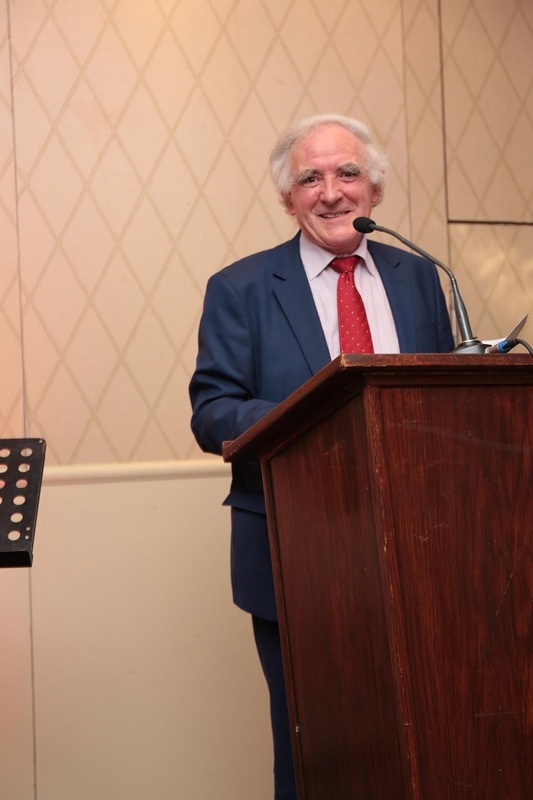 Chairperson Tony Gilleran opening the evening's big event. 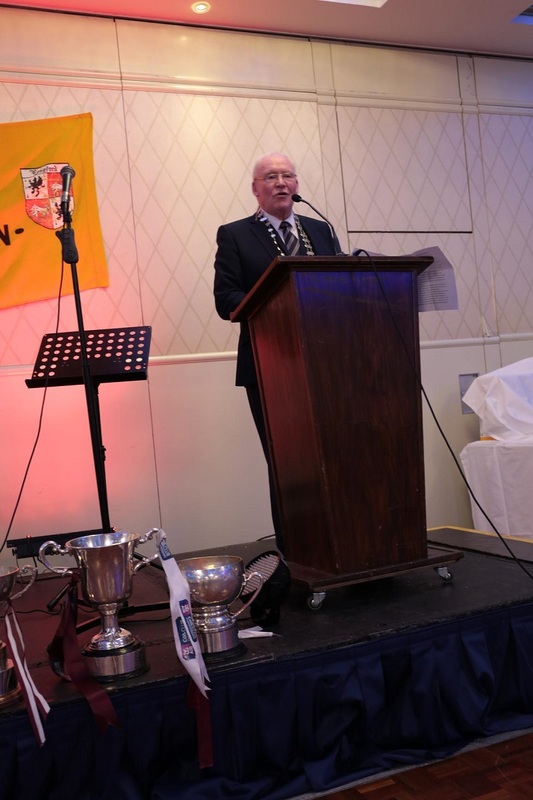 Dr. Philip Brady entertained us with his celebrated poem about St. Columba's GAA Team from Mullinalaghta. 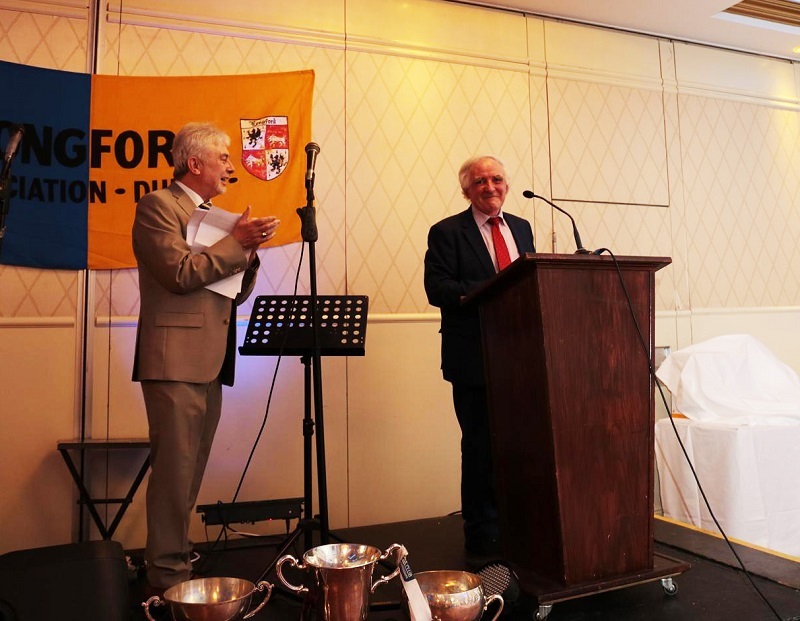 Liam Caldwell & Poet Dr. Philip Brady. 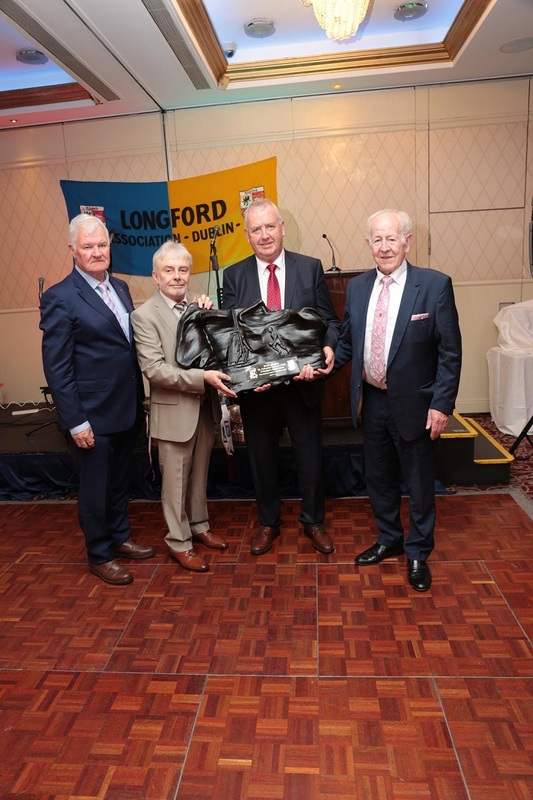 Chairperson Tony Gilleran, Liam Calwell, John Keegan, Chairman of St. Columba's GAA Mullinalaghta receiving the Association's Award, and Paddy Cunningham Mullinalaghta. 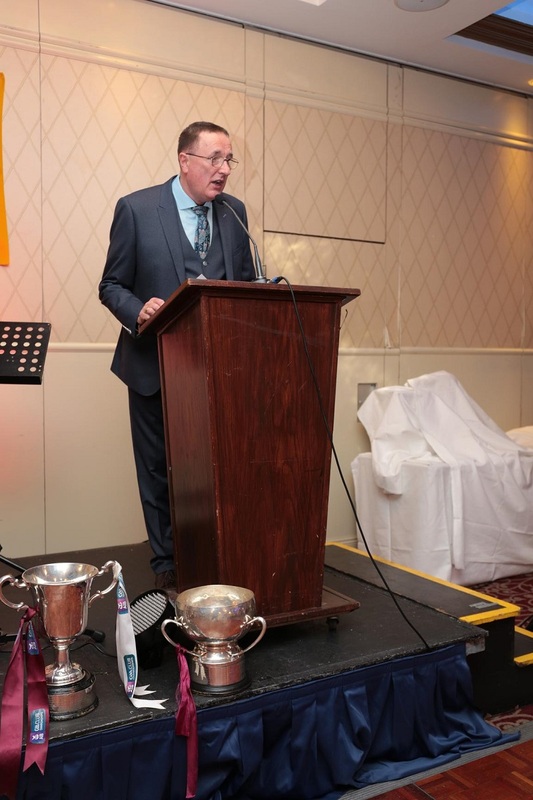 John Keegan Chairman replying to presentation of Award to St. Columba's GAA Club Mullinalaghta. 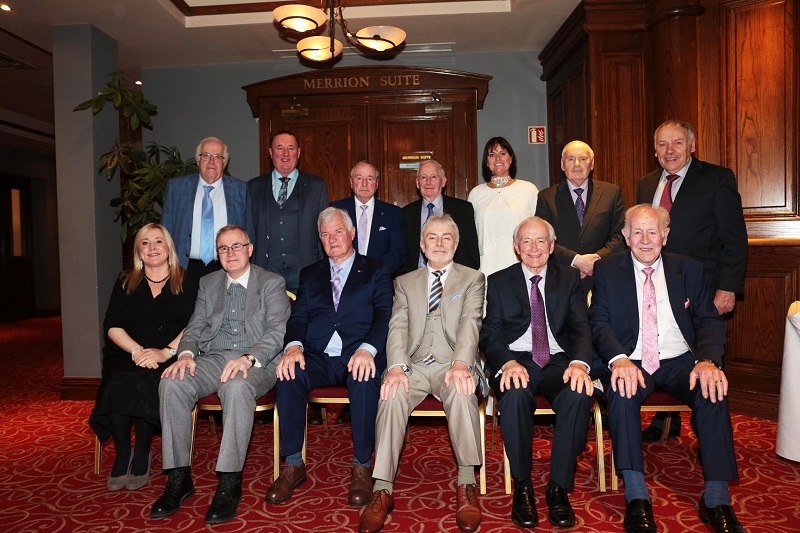 The Longford Dublin Association Organising Committee 2019. 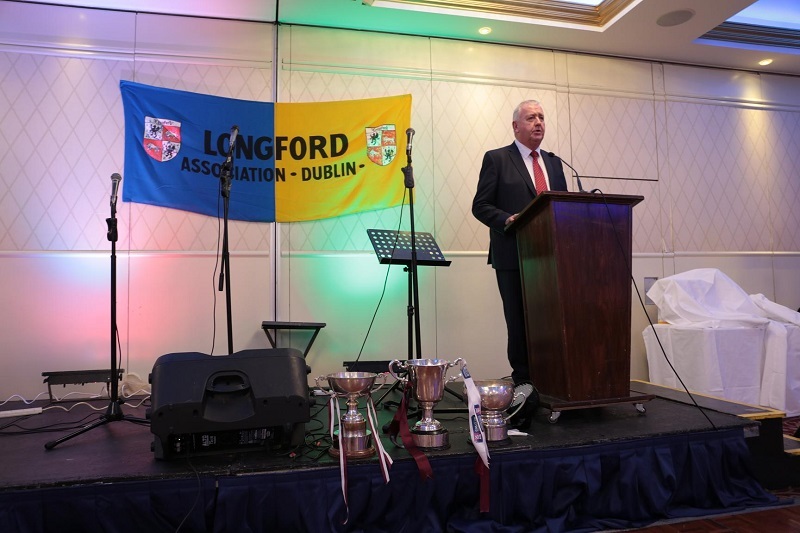 The Longford Dublin Association Organisation with John Keegan Chairman Mullinalaghta and players Aidan McElligott and Shane Mulligan. 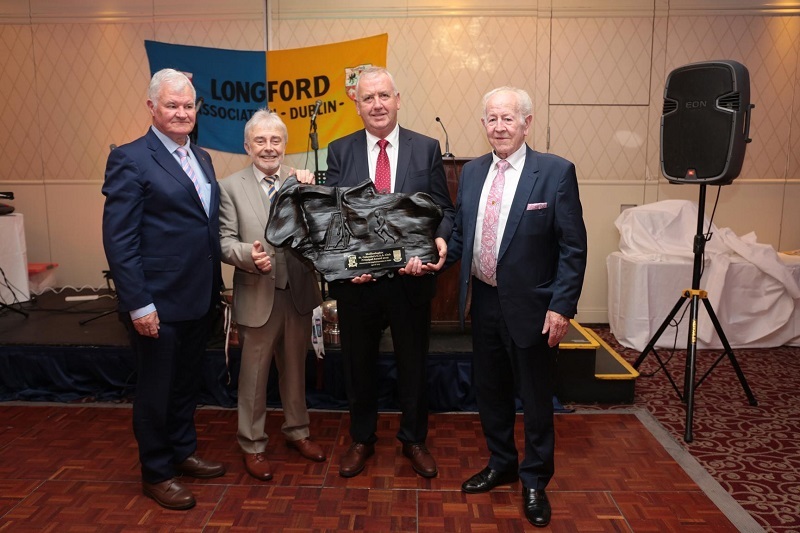 The Longford Dublin Association Organisation with John Keegan Mullinalaghta and players Aidan McElligott and Shane Mulligan. 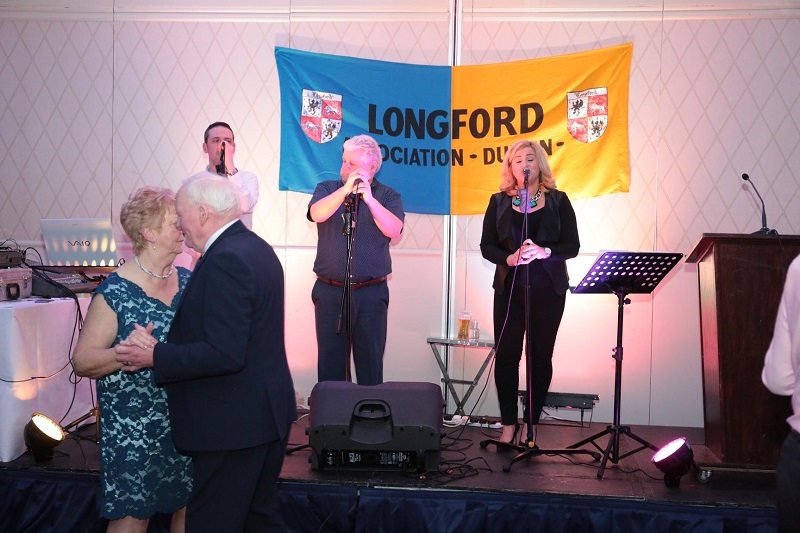 Danny Donohoe, Yvonne McCormack and Fr. 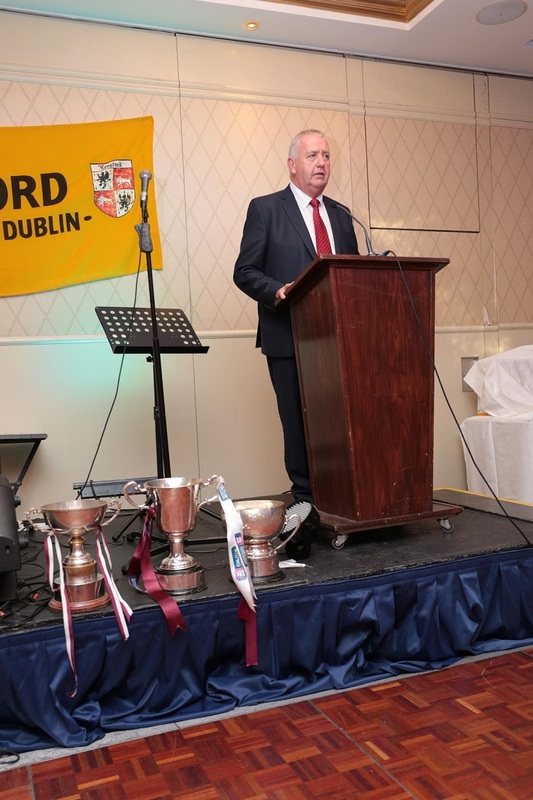 Seamus Connell admiring the trophy presented to St. Columba's GAA. 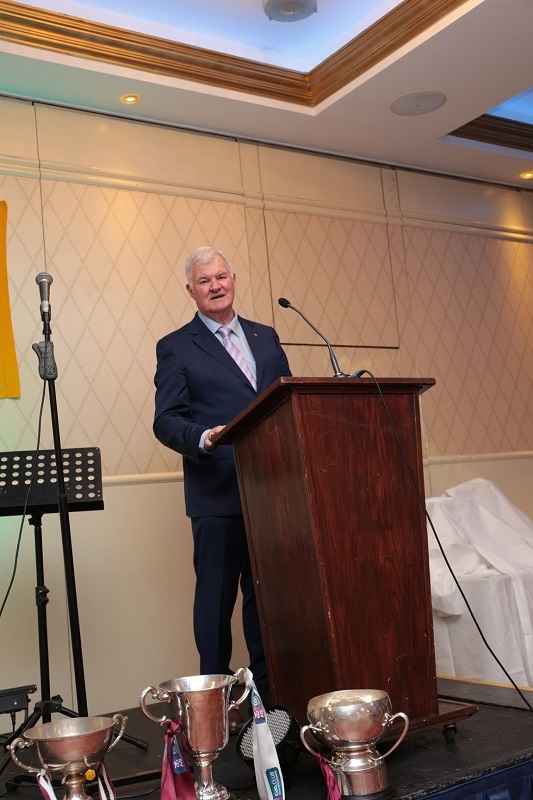 The Associaton would sincerely like to thank the sponsors without which we could not provide such a prestiguous event.